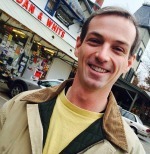 Dan Fraser is Manager/Owner of Dan & Whit's, a family-owned Vermont general store that has been serving the Norwich community for more than 110 years. Prior to taking on an active management role at the store, Dan worked in Special Education in the Hartford School District and Dresden School District (Norwich/Hanover) for 14 years. Dan is a Justice of the Peace and enjoys doing volunteer work. Dan & Whit's is a family-owned general store located in Norwich, Vermont. Since the time it was purchased by my grandfather, Dan Fraser, and his business partner, William Whitney "Whit" Hicks, in 1955, we have relied on the close teamwork of our family members and employees to build the store into the community landmark it is today. We've worked hard to forge that dedicated employee base and supporting their needs has been central to that effort. Dan & Whit's is open seven days a week from 7 am - 9 pm. We depend on many people to cover those 70 hours a week we're open—to help the customers, keep our shelves stocked, organize and restock inventory, etc. We value the experience and loyalty that comes with long-term employment at the store, so it's worth it to us to accommodate the needs of our employees. That requires flexibility on our end. We allow parents to schedule their shifts around their children's school or child care hours and snow days, and some parents take the summers off to be with their families. We also cross-train all of our employees so that others can fill in for those who have family needs to attend to and are unable to come in to work. Before taking on an active management role at Dan & Whit's, I worked in special education for 14 years in the Hartford School District and Dresden School District (Norwich/Hanover). I worked with children ages four to fourteen who were dealing with autism, attention deficit disorder, behavioral issues and other challenges. I noticed what a difference having structure and responsibility in their lives made in helping them succeed. I adjust each job to match the abilities of the employee, allowing them to start in a place where they feel comfortable and gradually take on more responsibility as they're ready. I leave notes for all of our employees every single day telling them what they did well and where there's room for improvement. Based on my experience as a teacher, I know that a supportive environment in which the kids feel valued and understand that their role matters is beneficial to their growth. I strive to be sensitive to the signs that a young person is struggling with an issue and I make myself available as a mentor, with a goal of helping that employee develop the coping mechanisms that will allow him or her to be productive and bring a good attitude to the workplace. I notice that these policies and supports are beneficial and impactful for both us and our employees. The parents who work for us are able to stay on at Dan & Whit's through the years when they're juggling child care and school demands. The high-schoolers and employees with special needs are given the opportunity to develop stronger executive functioning skills, a sense of identity and social-emotional skills. I believe it's important to support our community in this way because our young people are our future workforce and leaders. It's most economical and efficient for our children to have the opportunities to build strong cognitive, social-emotional and executive functioning skills during the early years when the brain is developing most rapidly, but it's never too late to help kids grow.